Speaking with Xtreme Metal Radio, Poland said that ‘Peace Sells,’ which was released as a single in 1986 and has since been listed by VH1 as the eleventh-best metal song of all time, was originally written as an eight-minute piece. However, Samuelson had other ideas for the track. Samuelson was fired from Megadeth in 1987 for his excessive drug taking and sadly passed away in 1999 at the age of 41 from liver failure. 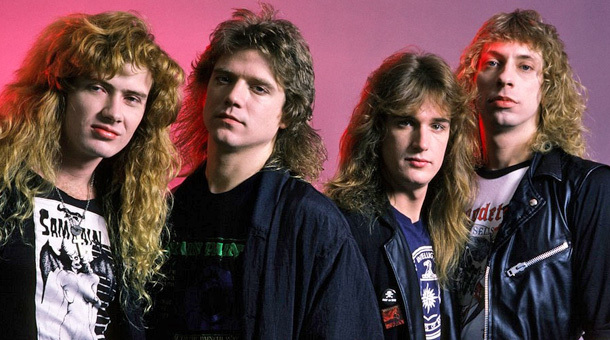 Mustaine dedicated the 2004 remastered version of ‘Peace Sells… But Who’s Buying’ in Samuelson memory. Poland added that Mustaine drew upon is anger over being fired from Metallica for inspiration: “You really have to give Dave credit. He was fuelled by hate for Metallica, so that added that extra angst to what we were doing. It was perfect timing – the chemistry was right.